I love singing but After pain, I see red blood in stool. I am so scared that hemmorrhoid built by Singing. I am using correct technique but I did mistake like using even last breath of stomach. After reading comments now I am bit calm. Singing should NEVER cause blood in the stool - be looking for some other cause. Perhaps you have pushed too hard and torn a bit "down there", with a hemorrhoid, and it may take a while to heal over. I suggest applying extra virgin coconut oil frequently... good luck; I am not a doctor & this is not medical advice! When I sing a song or take a deep breath, the area below my rib cage hurts a lot... As I am new in singing, what should I do? You really need to find a fellow singer, a teacher, or A DOCTOR, and ask their advice. Singing and breathing should not give you pain. I have this ache permanently in my side now. Singing aggravates the problem. So if I rest for a month it subsides - one gig and I'm in pain again. Due for a scan soon, will post something if they see a problem. It didn't have this problem until I learned the basics of appoggio breathing, but it's not the fault of the technique, It's the fact that I sing/scream/vocalize a very challenging style of music & I cannot eat anything that isn't HOT. My Wife calls me "asbestos tongue" because I can eat things like Jalepenos straight & walk away disappointed! She was going nuts today wondering why I was constantly grabbing my cramping belly until I figured out what it was. Singing in a really driven matter+a belly full of ghost peppers (that's right, ghost peppers-hottest in the world) & the huge amount of water it takes to combat my burning tongue & you have a receipe for (temporary) abdominal disaster! So I threw my ghost peppers away & promised I would go back down to Japanese red peppers-I expect a full recovery within a couple days. And just in case y'all are wondering, yes, you can bypass registration altogether if you sing appoggio straight through the mask. I thought it was a myth at first, but it's true. One breathing method, One register. Yes, after doing vocals and rehearsals with my band, the area under the lower part of the rib cage gets very sore. It is the muscles being stretched and a sensitive area too. There are various warm-up techniques that should help to improve this problem and also remember not to over do it. Good points, Niven. To me, these kind of pains should not be described as "stomach pains," but as tired muscles. I'd like to know what warm-up techniques you would recommend to prevent sore muscles. I agree with Dana and a couple others. I'm a new singing student. I'm an adult male in great physical condition (for sports). I didn't realize that performing correct vocal techniques would be so demanding and such a physical challenge. Just like any other activity, if you're not use to it, you may be sore for a while after doing that activity. I was trying to impress during my second lesson by breathing from the diaphragm and sustaining notes. On my own, I figured if I take a full breath and support while singing, I'm doing my thing. Well, I went a step further without instructions... As I was losing air I expanded my abdomen while I was singing the note. I did this several times vigorously. I didn't think of it hurting me. The next day I woke up with a pretty serious pain right where the lower part of the ribcage meets the cartilage and muscles. I KNOW it's from muscle strain because I know my body and I remember this pain. It's the same pain I got from doing crunches (situps) too intensely. It's more common than people think. I was a professional athlete and know several people that have had this happen. I iced it and rested and I feel much better. When I saw a diagram of the diaphragm and learned what a powerful muscle it is, it clicked. NOW, I will ask my instructor exactly HOW to do these exercises correctly. Thank you for your detailed description of your experience! I know this will be helpful to others. I'm having the same pain in the right side, under my ribs. It feels like a broken rib, but I know this starts when I start singing. I don't know if it is because I'm doing something wrong or something good. If sombody knows what this could be please tell me because I love singing. Perhaps you are eating too much before you sing? Could it be heartburn, or indigestion, aggravated by deep breathing for singing? Do you have good posture when you sing -- standing straight with your ribcage lifted away from your stomach? Perhaps you have pulled a muscle doing another activity, such as lifting something heavy, and it only hurts now when you breathe deeply? It is hard to understand this problem, as I have never experienced it myself. I have the same problem as your student. Whenever I run or do any kind of prolonged physical activities, I can get a stitch in my side. I told my doctor about it and after the standard advice of waiting for your food to digest, he also told me that when doing physical activities, I can prevent most side stitches by breathing in through the nose and out through the mouth. Doing that provides you with the oxygen you need but it also reduces the air in your stomach, which, of course, can cause pain in it. 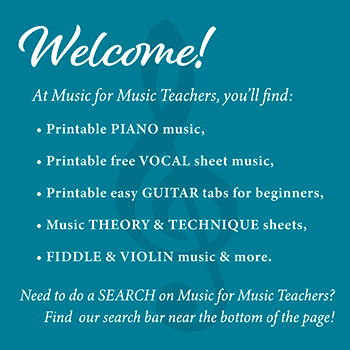 Suggest that your student look into breathing tips for singers. If she can't afford a private tutor or isn't interested in getting that involved, there are many books available on the subject. I agree with you. She said that she's having that stomach pain only while she is singing (the top notes) and running as well.But she has a good voice and she loves to sing so much. I told her to not to be scared of that, and continue singing & don't go to sing very high notes. Thank you for your valuable opinion.If you get some more information about stomach pain, please send it to me. Perhaps she is using too much pressure when she sings high notes. Ideally, the best singing should feel easy as well. Perhaps you could have her do sirens nice and easy, with no increasing pressure in the abdominal area as she goes high... have her place her hands on her abdomen and try to keep it "soft" as she gently slides up and down vocally. She probably needs to build NEW HABITS, and you don't want to bar her from the high notes permanently, but learn to sing them a different way. Return to Stomach Pain When Singing.